Peer 2 Peer car sharing is a new form of car pooling in which the owners lend their cars to other users when it is not in use. this form of business model has recently caught the attention and benefits both the users who do not own any car and the owners. Owners get paid and rates vary according to the amount of time they lend their cars. Also this program appeal the owners to recover the maintenance cost of their vehicle through renting out their vehicles.. Many people who do not own or use cars on regular basis and Peer 2 peer car sharing can help such people to use cars only when required without the need to own and maintain a car. The web based platforms and mobile applications have made it easy to find vehicles and owners nearby their location, making this program highly attractive. Peer 2 Peer car sharing is different from conventional car sharing programs. In a typical car sharing programs, companies maintain a fleet of cars that are available on rent basis. In peer to peer car sharing programs company does not maintain their own fleet of cars, instead, several owners participate and offer their vehicle on rent. The Company setup an online interface for car owners and the renters. The renters can access and get information of the vehicles available nearby their location by accessing an online database through website or mobile app. The owners usually have liberty to set the rate for renting out their cars. They can choose from either fixed rate or on hourly basis. 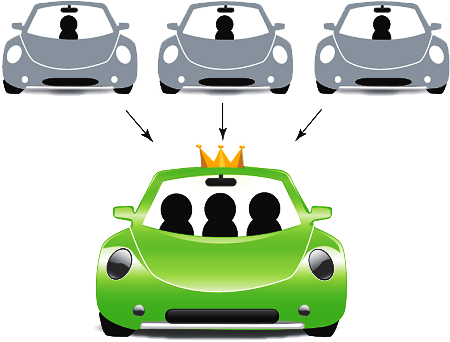 Peer 2 Peer car sharing is often categorized as a descendant of carpooling. Carpooling is sharing of a single car by more than one occupants to cut fuel cost and pollution. 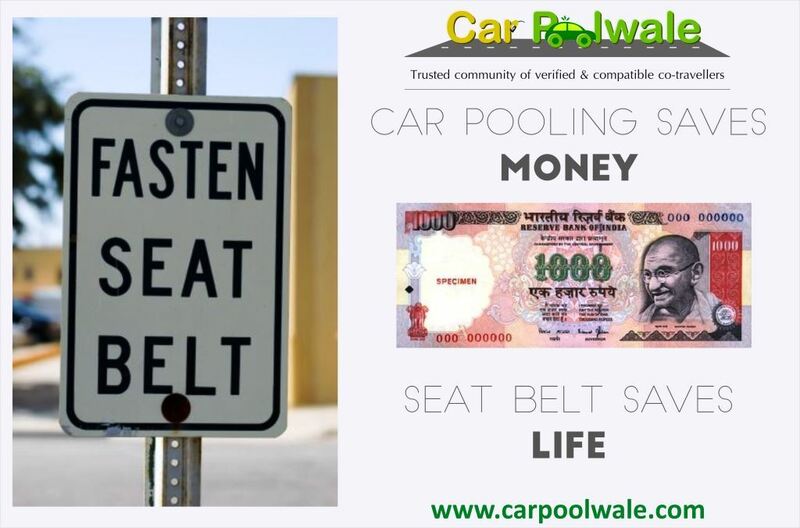 However, the biggest disadvantage of car pooling is that the car is driven by the owner most of the time and others only take a ride to reach close to their destinations. Setting up a meeting time and point is painful sometimes and dependant on each individual that share the ride. The peer 2 peer car sharing option eliminates the inflexibility and timing clashes by allowing the users to make of the vehicles even when the owner is not around. Usually peer 2 peer car sharing services install a device into the participating vehicles which controls the vehicle locking and ignition system. The renter uses his smartphone or a smart card (usually provided by the company) to unlock the vehicle and drive it for the time needed. Such sharing schemes alleviates the need to meet the owner, bargain the rates and exchange keys. The online database lists the vehicle along with the rates. The cars are stamped with the company sticker to help the renters identify the vehicle. The car sharing scheme is considered an environment friendly practice. 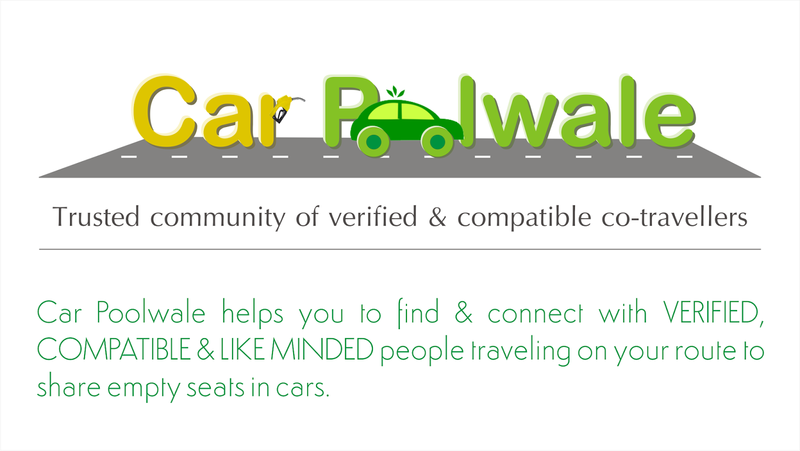 By sharing a single or fleet of cars among users helps in reducing the traffic congestion. Presence of fewer cars on the road will translate into less time required to reach the destination during rush hours. Car sharing scheme is also helpful in reducing the carbon footprint. More users can share a single car that will bring fewer vehicles on the road. Fuel will be less burnt and also it will help in controlling the emission of harmful gases to the environment. Overall, it will help a long in overcoming the environmental pollution and reducing the carbon footprint. More and more companies are leaning towards building a fleet of hybrids and electric powered vehicles. Usually, the average distance travelled by the renters is well with the range that the on board batteries cover. In case of hybrid, the engine will remain shut for short duration trips, thus eliminating the need for fuelling the car. This is one of the most important incentive for the users to opt for car sharing schemes instead of buying their own vehicle. A car owner has many liabilities such insurance, car payments, maintenance, parking charges and mortgage. Through car sharing schemes, renters do not incur ownership cost for any of these things. All he has to pay for the amount of time he drives the car. Many companies instead of maintaining their own fleet, invite car owners to join and build a virtual fleet of cars. The owners then get paid for the time they lent their cars to the renters. By participating in such programs, they not only make money but also can recover the cost of their vehicles. 3 Reducing single occupancy car trips by implementing car pooling system. 4 Promoting alternative modes of transport. 6 Save money by sharing the cost of driving one car. 7 Reduce number of cars in the road. 8 Reduce pollution and carbon dioxide emissions. 10 Provide social connections in the society. Carpooling makes sense – after all, it saves money, fuel, and the environment, but figuring out a sensible arrangement isn’t always easy. Below are some ways to avoid the pitfalls that can make carpooling a headache. Simply exercise following Steps & Tips to make Carpooling a wonderful experience. The home of the driver. This is the ideal arrangement if everybody lives walking distance from each other, but it can get confusing if people take turns driving. A convenient location, such as a park-and-ride lot next to the highway, or a lot that’s centrally located among all of the participants. Driver picks everyone up. Again, this works best if the participants live close together, and it can be impractical if you rotate drivers (like if the person who lives closest to the destination has to drive 10 minutes further away just to pick someone up). An added bonus is that the people who aren’t driving that day can be completely car-free, possibly letting someone else in the house use it, which can enable some households to give up one of their cars; this will help you save money. Who has the most fuel efficient car? If one person in the carpool has a gas guzzler and another person has a hybrid, then it might be in the group’s best interest to use the hybrid more often, because then everyone pays less for gas. This does, however, put more wear and tear on the hybrid. Who has the most comfortable car? If you carpool every day with several people for a long commute, a spacious interior might make things a little more enjoyable for everyone. There might also be the awkward situation in which one person has an uncomfortable car (no A/C or heat, for example). Who’s in the best location? Sometimes it makes the most sense for the person who’s furthest away from the destination to pick everyone up, presuming the homes are on the way to the destination. 3 Set up a schedule. Figure out what time to meet, or what times people will get picked up. This might take a little trial and error, so be conservative when you start. 4 Calculate the costs. For every day that you’re carpooling, you should know who’s driving and for how many miles. (If you all meet at the same spot every day, the number of miles won’t vary.) You should also get a good estimate on each vehicle’s fuel efficiency if you’re going to rotate drivers and if some vehicles are much more fuel efficient than others. Be sure to account for maintenance costs, as well, especially if one person drives all or most of the time–gas is not the only cost. 5 Decide how people will pay up. For each day on your carpooling schedule, you should now know how much the driver is owed. Make a list for each day of the carpooling schedule, and divide the cost by the number of people in the carpool for that day–that’ll be how much each person owes the driver on that day. 7 Keep everyone in touch. Make a list of everyone in the carpool and how they can be contacted. If anyone doesn’t need a ride or can’t drive, it’s important to have a chain of communication set up to prevent misunderstandings and inconvenience. 8 Leave a little extra room in the schedule to allow for routine delays, and drive to keep your passengers comfortable so you all arrive relaxed and refreshed and they might even get some work done during the ride. But don’t micromanage your fellow carpoolers’ driving. Check with your insurance because they may offer a discounted rate for carpooling. Sometimes it’s easier to figure out costs if you rotate on a weekly or monthly basis rather than on a daily basis. Be on time. Lateness will inconvenience people and make them upset. Do a test run for a week or two. If you don’t already have some people to carpool with, start asking around at work, school, and in your neighborhood. You never know who’s making the same commute you are. Online, you can use message boards and carpooling websites. Take extra caution when carpooling with people you don’t know. Are they reckless drivers? Do they have road rage? Are they responsible? Will they pull their own weight? Are they a threat to your personal safety? Schedule a meeting. Meet your fellow carpoolers before the first trip to talk about insurance, communications and personal preferences. Determine your route and schedule. Establish the morning pickup point(s) and designate the place(s) to meet for the trip home. Establish policies. Smoking or nonsmoking; music and volume; eating or drinking. Your carpool will have a better chance for success if these issues are discussed in advance. Draw up a schedule for driving responsibilities. If all members of your carpool alternate driving, decide among yourselves if you want to alternate on a daily, weekly or monthly basis. Establish a method of reimbursing driving expenses. If the members of your carpool do not share the driving equally, come to an understanding of how the costs will be shared and agree on payment dates. Be punctual. Decide how long the driver is expected to wait. Be courteous. Do not honk for your passengers. Establish a chain of communication. If a driver is ill, or will not be going to work one day, an alternate driver should be notified to ensure that other members of the carpool will have a ride. If a rider is ill or will not be working, the driver should be contacted. Do not feel you have to carry on a conversation with your fellow carpoolers. This is particularly true in the morning, when some people like a time of quiet.